Going to make this a quick post today! Lots to do…..lots to do! 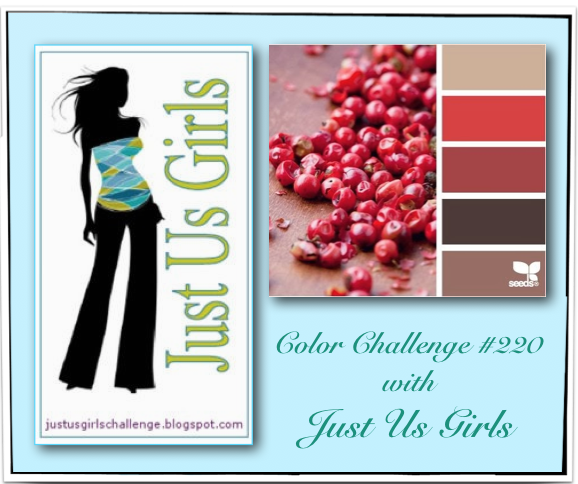 she have a great color combo picked out for this time of year…. heck what am I saying…anytime of the year! I love red and brown together don’t you? Here is what I did with it! one of these cute Santa’s on a goodie bag at our last card class. be making one of them for this challenge! I think he is so cool! Thanks Janet for inspiring me, you are amazing! Please come on over to JUGS this week and play along with us! We also have with us a Guest Designer for this month! Any questions about my card…please leave me a comment…I would love to hear from you! Categories: Cards | Tags: Card making, Cards, color challenge, embossing, Gkd, rubber stamps, stamping | Permalink. Oh my that Santa is so adorable! What a fabulous idea! It works so well with the colors too! Love it! 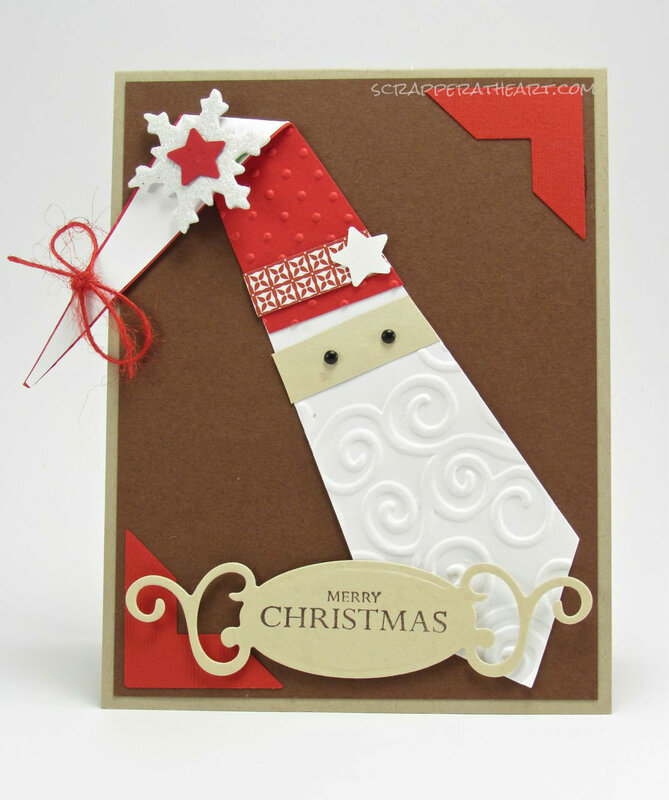 How cute is this Santa~ Great use of the colors. This is sooo cute, Nancy!! Brilliant 🙂 Great use of the colours. Wishing you and your family a blessed Christmas. What a cute Santa! I love him and his embossed beard…..so cute! I hope you have a wonderful Christmas, my friend. Enjoy the time you have with your family. This is just to cute! I’d like to see this made into a fabric tie fro hubby to wear at Christmas! Have a great holiday!! This is over the top cute! That Santa is adorable. You really rocked this challenge. I will be borrowing this idea, I love it! I just LOVE this snowman and how he is made! Great colors, too! FAB card, nancy!